Tiger Woods is a golfing phenomenon with a mile-wide smile, a charismatic personality, and a talent that leaves other golfers gasping in astonishment. At the mere age of twenty-one, his accomplishments are already legendary. In 1997 he amazed the golfing world by winning the prestigious Masters Tournament in Augusta, Georgia. But winning is too tame a term for what Tiger did: he absolutely annihilated the competition, breaking records for lowest score on the back nine and lowest score ever on the course as well as defeating the top golfers in the world by a remarkable twelve strokes. Tiger’s victory at Augusta was the highlight of a young career already studded with stellar achievements on courses throughout the world. 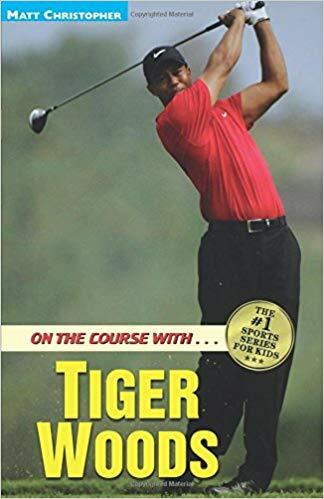 In this exciting biography, Matt Christopher, the number one sports writer for kids, chronicles those achievements and takes a look at Tiger’s childhood and the greatest influences in his life: his father and mother.